Nov. 6: Looking for coverage of the 2018 General Election? Get updates on the governor’s race. Though campaign commercials may seem like it began months ago, the 2018 election season officially got underway this week, as candidates began the mandatory task of circulating petitions to get on the ballot. But not all of the candidates. Those running for governor can’t collect signatures until they have a running mate—in a bizarre twist, Democratic hopeful state Sen. Daniel Biss of Evanston on Wednesday announced he was dropping Ald. Carlos Ramirez-Rosa, a week after announcing he’d join the ticket. A campaign source says Biss will announce a new choice on Friday. Biss says it was a “difficult decision” that stemmed from a divide over what’s known as the Boycott, Divestment and Sanctions movement, or BDS, against Israel. Ramirez-Rosa backs BDS as an option to leveraging Israel to agree to a two-state solution with Palestine; Biss does not. Though both men say they talked about BDS before they decided to run as a ticket, they have differing versions of what was settled on during those talks. Biss’s choice of Ramirez-Rosa was seen as an effort to win over members of the Democratic Party’s progressive wing, who are seen as divided between Biss and another Democratic gubernatorial hopeful, Chicago Ald. Ameya Pawar. The split may mean that Biss’s plan backfired. Others in the crowded Democratic primary field have yet to announce their running mates, including businessman Chris Kennedy, of the Kennedy political dynasty. Campaign spokeswoman Rebecca O’Halloran Evans says that volunteers stand ready to begin collecting signatures once one is announced, likely next week. “We’ve worked hard to find a lieutenant governor whose priorities are in line with Chris’s,” she said. Some in Democratic circles consider Kennedy to have run a lackluster campaign and fundraising operation. “We’re excited and confident in the direction the campaign is going,” Evans said. Meanwhile, Pawar—who chose Tyrone Coleman, an African-American minister who is mayor of downstate Cairo, as his running mate—is kicking off a petition drive. Labor, however, is by and large uniting behind J.B. Pritzker, a venture capitalist and heir to the Hyatt hotel chain, who is self-funding his campaign. Pritzker in June won the endorsement of the massive AFL-CIO union coalition, a nod that gave him claim to front-runner status and boosts his campaign with a steady stream of volunteers. Pritzker started airing campaign commercials early this summer, and has no plans to stop. Pritzker’s ability to fund his own race—leaving Democratic donors to focus their finances on down-ballot legislative ones—is seen by portions of the party as a draw, while others doubt the savvy of aiming to pit a wealthy businessman whose has never held political office against Gov. Bruce Rauner, who Democrats assailed for those very reasons in the 2014 campaign. Pritzker spokesman Galia Slayen says the campaign is feeling good about its momentum, and recently opened additional field offices, including in Peoria, Belleville and the West Side of Chicago (it already has city outposts). Other Democratic candidates include state Rep. Scott Drury of Highwood, anti-violence advocate Tio Hardiman and suburban businessman Alex Paterakis. 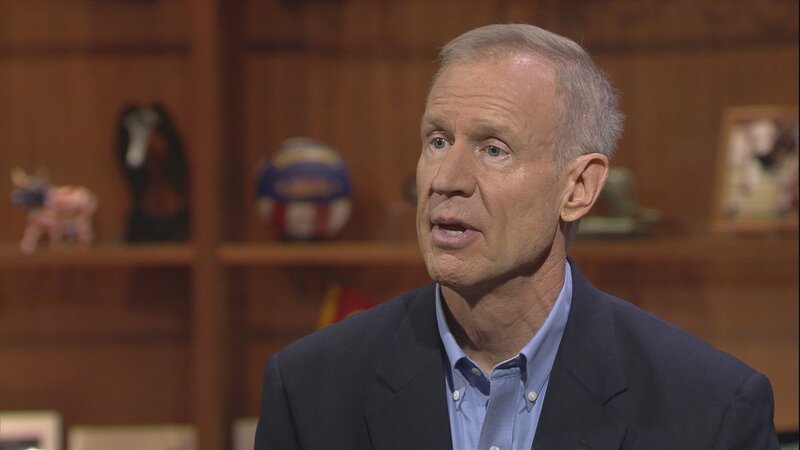 Rauner has signaled his intention to run for re-election, though he hasn’t formally made an announcement. Rauner boasts a hefty war chest, but his campaign went through upheaval this summer, when his longtime strategist Mike Zolnierowicz left Rauner’s team in mid-July. Rauner then temporarily brought on Matthew Besler, who’d been serving as president of the Illinois Opportunity Project (an organization run by radio host and political operative Dan Proft), only for Besler to return to the IOP in mid-August as Betsey Ankney, a campaign consultant who helped Wisconsin U.S. Sen. Ron Johnson fend off a challenge in the 2016 cycle. Thus far, Rauner’s only declared challenger is William Kennedy, a radio host, who previously lost bids for state comptroller and mayor of Chicago. Sept. 6: It was only last week that gubernatorial candidate and Democratic state Sen. Daniel Biss named Chicago’s 35th Ward Ald. Carlos Ramirez-Rosa as his running mate. On Wednesday, the two went their separate ways. Aug. 10: At a rally Thursday, the Democratic candidate for governor introduced his pick for lieutenant governor. “We need real solutions, and that is what J.B. and I will provide,” state Rep. Juliana Stratton said. July 19: The field of Democratic candidates running for governor is especially crowded, but there is only one Republican aiming to challenge Bruce Rauner. And he'll face the governor’s formidable campaign war chest.